Gluten Free Diet Plans: A Smart Option or a New Fad? Not long ago, the term “gluten free” was thought to only be for those who suffered serious health issues due to gluten intolerances. In today’s world, however, many individuals are choosing to live the gluten-free diet plans life. Celiac desease may develop when particles of gluten bond with intestinal proteins and provoke a hypersensitive overreaction from white blood cells. The small intestine plays an intrinsic role in this process as they are designed to absorb nutrients. With Celiac Disease, however, the small intestines cannot do their job properly because the body’s white blood cells incorrectly identify the gluten bond particles as an enemy and therefore set out to destroy the lining of the small intestine.Some of the symptoms of celiac disease are associated with other diseases though so blood tests are typically necessary to properly diagnose the problem. Word of mouth is a very powerful tool. Many individuals have opted to adopt a gluten-free lifestyle because someone that they know has touted the benefits from doing so. For most individuals, there are no real cut and dry answers as to whether he or she may have intolerance to gluten. Blood work along with an endoscopic biopsy of the small intestine will determine if the patient has celiac disease, however, there is not much in the way scientifically to report whether a person has gluten intolerance. Many individuals claim to simply feel better when not eating products that contain gluten. These people state that living a gluten-free lifestyle simply leaves them feeling more energized, less bloated, and with clearer thinking capacities. Wheat allergies, however, are another story. An allergy, unlike intolerance, caused by gluten is a serious subject. 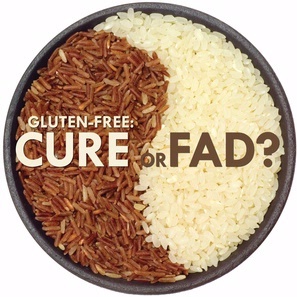 While there is no concrete evidence either medically or scientifically that going gluten-free is necessary for inflammation to decrease, many individuals who stick to gluten free diet plans believe that it does help.Some individuals tout the benefits of being gluten-free as having more energy and feeling less bloated; but research does not support this as of yet. For those with true celiac disease, it must be hard to comprehend why anyone who did not have to would go on a gluten-free diet. 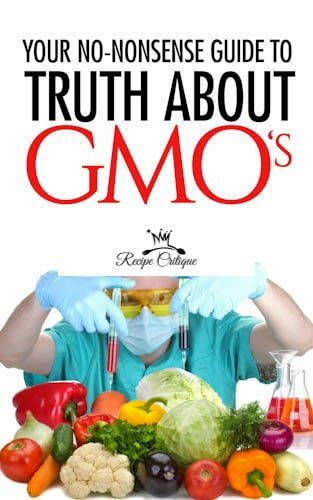 Gluten-free products are extremely costly and definitely do taste differently.Having said that, individuals become gluten-free for many reasons.For many consumers, eating a diet without gluten simply makes them feel better, whether or not they are reaping any scientifically proven benefits and rewards. To avoid feeling the dreaded bloating often associated with eating gluten-filled foods, people may choose to go gluten-free. Bloat is something everyone experiences, some more than others. Women tend to get hit doubly during their menstrual cycle. So if there is even a slim chance to alleviate some of the gluten related bloating, many will be happy to give a gluten-free diet a try. If you are a celiac sufferer, the benefits of gluten free diet plans are obvious. You get to alleviate some serious side effects to gluten including saving the lining of your small intestine from being under constant attack. Gas, bloating, vomiting, or diarrhea is side effects of gluten intolerance, as well. If you are not a celiac sufferer, but instead are seeking the benefits of going gluten-free for the simple reason that it is the talk of town, you can still find many benefits from this change in diet. Mental clarity and a decrease in fatigue are just two examples. For celiac suffers, even a tiny amount may have an adverse effect on the body. It can cause iron deficiency and anemia as well as Osteoporosis. Gluten can also set off a very serious reaction for some folks, including anaphylactic shock which can be fatal. While many other individuals praise the fact that they are on gluten-free diets and tout benefits such as an overall feeling of well-being, energy increase, and alertness, none of these attributes have been conclusive in persons with only a small sensitivity to gluten. Going gluten free is, for most people, a personal choice. But one thing we should all know is that it is a costly choice. A lot of gluten free food options are more expensive.